Having made his F1 debut with Williams this season while also taking part in the Bahrain test in the Mercedes, George Russell has driven the slowest and fastest cars on the 2019 grid. But how do the cars compare? "They compare as you'd expect," Russell told Sky F1 in China. "After driving Mercedes' car, there was no real shock. I've had experience in the Mercedes before and I know how great the team is and how great their car is. "To get that opportunity again was really great because I learnt so much to know that this is what we need to be aiming towards." Russell believes Williams can benefit from his feedback, adding: "[Mercedes] do have more downforce, there's no denying that, but there's many things that their car is doing that if we had, we'd probably be going quicker with the same amount of downforce that we have. "It was really interesting for me and I took a lot of things away that I can think help Williams push forward." Toto Wolff says he had "quite a laugh" with Max and Jos Verstappen following reports that he has been regularly calling the Red Bull driver. Red Bull advisor Helmut Marko was quoted in Auto Bild last week claiming Wolff "repeatedly" calls five-time grand prix winner Verstappen and his father and has been doing so for months. Jos Verstappen described the claims as "nonsense" and Wolff said in China: "We had quite a laugh about that all three of us. "I haven't got Max's number and I've never had him on the phone. "As Max said rightly, I've known Jos a long time, I respect him and consider him a friend. We talk about babies and go-karting and when do we put our baby kids in a go-kart and which team are we going to set up. There is no talking about Max nor his contract. "For the right reasons Max is very committed to the Honda-Red Bull situation, and rightly so. "We are committed to our drivers. We are not planning to engage in any sort of discussions nor do Jos or Max, so I don't know where that came from." Lewis Hamilton and Valtteri Bottas have started the season with three one-two finishes for Mercedes. Hamilton is contracted until the end of 2020 while Bottas' current deal expires at the end of this season but Wolff says he is not currently considering other options for his driver line-up. "After a day like today when we are P1 and P2, I'm not considering any other driver for the short term. What happens after 2020 will be first discussed with Valtteri and Lewis and once that decision is taken then we will be turning to the paddock, but hopefully the line-up goes forever." Ferrari have come under fire for issuing team orders between Sebastian Vettel and Charles Leclerc this season, but Ross Brawn believes team boss Mattia Binotto is managing the situation "well". Leclerc was told to move aside for Vettel in China as Ferrari hoped the German could chase down the two Mercedes cars ahead. The Monegasque was also told to hold station behind Vettel in Australia and Bahrain, although he only complied on the former. F1 managing director of motorsports Brawn also believes Ferrari need "perfect" weekends in order to beat Mercedes in their battle at the front. "Mattia Binotto finds himself having to manage what is definitely a new situation for Ferrari, in the shape of two drivers fighting at a very high level," Brawn said in his post-Chinese GP debrief. "For now, Mattia is managing the situation well, dealing on the one hand with the talented young Leclerc, while managing the valuable resource that is Vettel, who as a four-time world champion has shown himself capable of dealing with pressure in the past. "This is definitely a tricky year for Sebastian and the podium in Shanghai will have been a confidence boost, while Charles has shown great maturity in accepting team decisions that are not easy to digest. "The first three races have confirmed that if Ferrari wants to challenge Mercedes everything has to be perfect at all levels: performance, reliability and teamwork." Antonio Giovinazzi missed qualifying at the Chinese GP after the old-spec electronics on his Ferrari engine in his Alfa Romeo suffered the same issue which struck Charles Leclerc in Bahrain. "We know that with the initial spec of the control units we had somehow reliability issues so we changed it simply for a better unit. So we changed it on Seb as well for precaution, we had to change it certainly on Charles' because it had failed," Mattia Binotto said. "We asked our customer teams as well to change that. Haas did it, Alfa didn't do it for installation issues, they felt [it was] too complicated or too risky for the change they had to do on the installation. China to add second F1 race? Is a second grand prix in China on the cards? 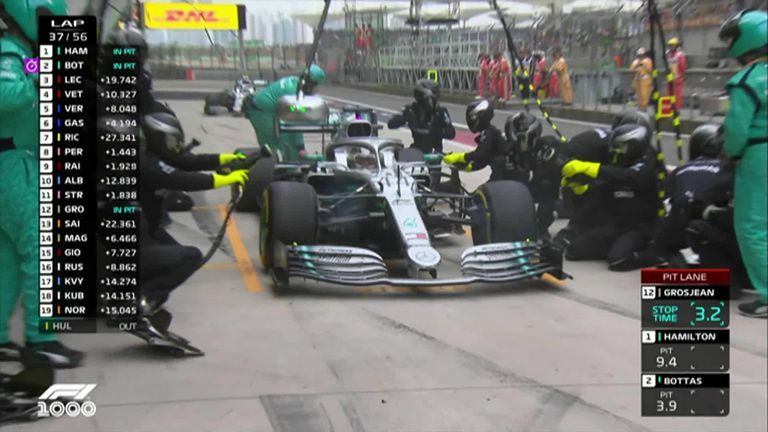 F1 chiefs will this week hold talks with six cities to determine whether any of them could stage a second event to the sport's estabished Chinese GP in Shanghai. "There's meetings set up in each with government officials to talk about identifying a second city to host a grand prix," F1 commerical chief Sean Bratches told AFP. "We think there's an opportunity to grow from that perspective." Daniel Ricciardo was relieved to get his first points of the season at the Chinese GP and says Renault need to find improvements at each race. Ricciardo had retired from the opening two races of 2019, but enjoyed his best weekend with his new team as he out-qualified team-mate Nico Hulkenberg to start seventh, the same position he finished in. "The first race I actually remember was Ayrton Senna's first win in Brazil. I think it was 1991 and he was so exhausted because he'd lost part of the gearbox or something and he couldn't even lift the trophy. But I was just three years old, so it's really just images - a memory. After that, the ones that mean something to me from when I was a kid were Michael Schumacher's Benetton days - when he was going around Hockenheim, the full stadium, German flags everywhere." "If I was choosing as a fan, there are two races. The first is Brazil, 2008. You can write it, but you don't expect it. For a world title to be decided in the last corner of the last lap of the last race…that was pretty awesome - although obviously not for Felipe [Massa]. The other would be Mark Webber's first race, in 2002, when he finished fifth in a Minardi. I was there that day and that was pretty cool." "As a kid I was watching every single race, no matter the time zone. I would say my highlight was Mika [Hakkinen]'s first win in 1997. That really unlocked something and he was successful the next two years after so that was a big highlight and a big motivation for me." "The first race I watched with my Dad was 1994 when Ayrton had his accident. It was a shocking moment. I had to wake up very early to watch Formula 1 in Mexico and I actually remember watching Kimi, too!" "I think the first memories was when Keke [Rosberg] was racing and he blew up bis tyre in Adelaide (1986). Obviously I was cheering for the Finnish guys. Once I started doing go-karts I didn't really believe that this could happen because you had to have a lot of money. It was a dream but not a very realistic one." "My hero was Michael Schumacher, that was the guy I always looked up to. I was Ferrari mad actually." 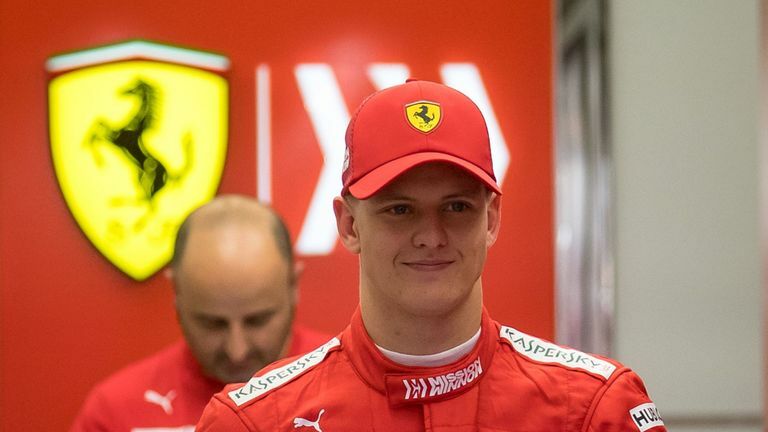 Mick Schumacher started to follow in his father's footsteps by taking part in his first Formula 1 test with Ferrari last week, and the Scuderia boss already sees similarities between the F2 youngster and the seven-time world champion. "The very first time I saw him after many years in Maranello, when he came back. If you looked at him, I don't think he's looking very similar to Michael but the way he's behaving is very similar," said Mattia Binotto. "And the way he approaches the exercise and the way he's interested in the car, discussing it with the technicians. So even in Maranello, you are looking after him, but he's always in the workshop looking at the car, speaking with the mechanics, and I think that's very similar to his father." In one of the more curious F1 stories at the start of the season, the smell of Ferrari's fuel has been the subject of discussion in China. It came after Red Bull boss Christian Horner, whose team run Honda units, said in Bahrain that Ferrari's cars smelled as though they were emitting 'grapefruit juice'. So what do Haas, a Ferrari engine customer, make of that? "At the beginning of the season we had a meeting with Ferrari and they asked us what flavour we want. Our guys like raspberry so we asked for raspberry flavour," joked Haas chief Guenther Steiner. "I've never heard that a fuel smelling like grapefruit, I've no idea - I've never smelt their fuel. I haven't noticed we have grapefruit smell in our garage!" It's been a solid start to life with Honda engines - Bahrain mishap aside - for Red Bull, but they are still seemingly F1's third-quickest team. With that in mind, Max Verstappen has called for big improvements. "We learned a lot in Bahrain and we also learned we made a mistake with the setup," Max told Sky F1. "If you look back in Australia we didn't have any major issues, we just need to make sure we are reliable and score points. "It's a long season and I think there are a lot of updates coming between the big teams - we just need to make sure that we bring the better ones." Kimi Raikkonen says he now regards racing in F1 as a hobby, and that has helped him find new enjoyment in the sport. "It has become more of a hobby for me lately than anything - that is probably why it is more fun again," he said in China. "I always try and do the best that I can. Some days go better than others, some days are a bit more tricky than others. Motivation has never really been an issue, even if a lot of people might think so. "I just try and do what I can and when I feel myself that it's not what I expect from myself then I will try and find a new hobby after that." Jos Verstappen has denied claims from Red Bull advisor Helmut Marko that Mercedes CEO Toto Wolff regularly calls his son Max. And he insists his son is very happy at Red Bull. "That's nonsense. Toto never calls Max. I don't even think he has his number," Jos Verstappen told De Telegraaf. Arthur Leclerc, the younger brother of Ferrari driver Charles, has joined Sauber's junior team and will race in German Formula 4 this year. Leclerc finished fifth in the French Formula 4 championship last year, winning two races. "This is an opportunity that means a lot to me. My car will be completely different and much faster than the F4 car I drove in France, but my target is to win and move on to the next racing category." Mick Schumacher is unsure he'll be ready to make the step up to Formula 1 in 2020. Schumacher, the son of seven-time world champion Michael, has made his testing debut this week for Ferrari and Alfa Romeo. "Obviously it's my first year in F2, we'll see how it goes," said the German.